SUPA71 is a research firm based in Bangkok, Thailand which provides competent research and training professionals for consulting demands in Asia, most especially in the Mekong Sub-region countries. Its name connotes “super”, synonymous to excellence and greatness, which are values that the firm desire to achieve in every engagement. SUPA71 envisions to be one of the best research consulting firms in the region while working with competent network of professionals across the region. 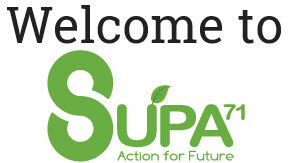 SUPA71 staff are superiorly skilled to deliver the best outcome in its every engagement. The firm works on a variety of tools, methodologies, and techniques to accommodate the demands and requirements of its clients. SUPA71 take utmost care to provide accurate, precise, and modern research methods and approaches towards data collection. Coming from multidisciplinary backgrounds ranging from agriculture, health, forestry, and development, SUPA71 staff work together to deliver quality work with the best team on hand. Its staff can work on various projects from research to field implementation, monitoring and evaluation, translation, facilitation and more. The company guaranties absolute accuracy in all aspects of its research, data collection, and analysis. Its staff are efficient and reliable which can ensure that every intervention in projects and consultancies meets the best criteria. We partner with organizations, research firms, agencies, and other institutions working in the development sector to improve people’s lives, create healthier communities, and increase job opportunities towards better living conditions.